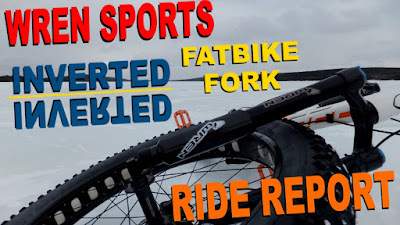 If you have been following this review of the Wren Inverted Fatbike Fork you have already seen Introduction and the Install & Setup. If not you may want to take a peek them first before jumping into the juicy ride details. So now its time to see how the Wren handles some real world multi seasonal conditions. The test vehicle for the Wren was a 2016 Norco Sasquatch 6.1 that sported a Bluto from the factory. The white Bluto had 100 mm of squish, an axle crown measurement of 511 mm, a 51 mm offset (rake) and an MSRP of $685 - $715. The specifications of the Wren (WSF150-110ATK) include 110 mm of suspension, an axle crown of 530 mm, offset of 45 mm and MSRP of $999. On paper the Wren is slightly taller with slightly shorter rake (more trail) which translates into more stability at speed coupled with slower steering when travelling more slowly. 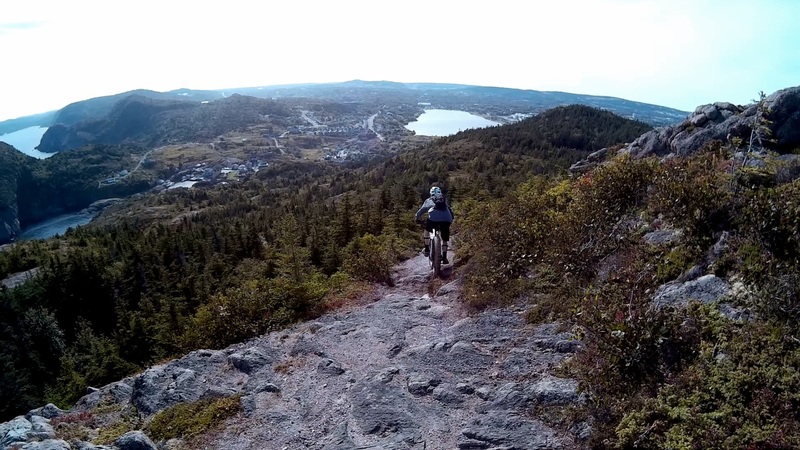 Descents should also be slightly easier. However, in reality the actual difference in geometry between these two forks is minimal. But the big question is . . . how does the Wren actually feel and handle in the dirt and snow? 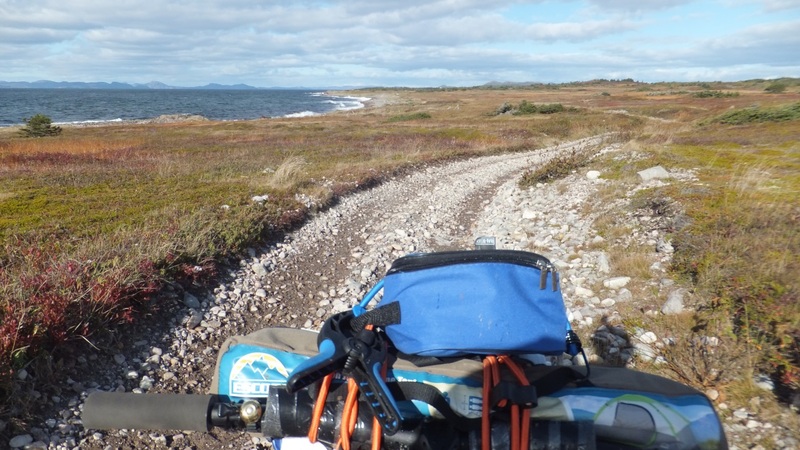 Having almost 12 months on the Bluto it saw all varieties of terrain including: snow (pristine to cratered), ice (smooth to fractured), flowy single track, gnarly cross country and downhill, mud and water, gravel grinds, pavement and untouched back country exploration. The Bluto did what was supposed to do while exhibiting some flex and mimicking a pogo stick from time to time. 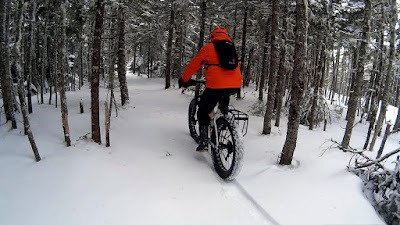 The Wren Inverted Fatbike Fork was mounted up to the Sasquatch and after 6 months (early fall to the dead of winter) it has been exposed to the same terrain and environment. Simply put, the Wren does what the Bluto was meant to do, but it does it much better. The design of the Wren makes it much more stable and smooth than the Bluto. Drop offs can be taken without worry of bottoming out the fork and rock gardens can be taken at whatever speed you are comfortable attacking. The Wren not only feels solid . . . it is solid. No hinting of flex, with the only movement happening within the 110 mm of keyed stanchion travel. And with the Wren being infinitely adjustable, it can be set up for any rider for any conditions and not disappoint. When installing the carbon bash guards I did have some reservations about the durability of the thin guards that felt like brittle plastic. Boy was I mistaken . . . those suckers are tough. Repeated whacks by low hanging branches and shrubs, coupled with slight pecks from a rock or two have resulted in only a few scrapes and scuffs. I have a new respect for carbon. The lockout, although no remote, successfully limited the suspension when not needed during gravel/ice grinding on level surfaces. 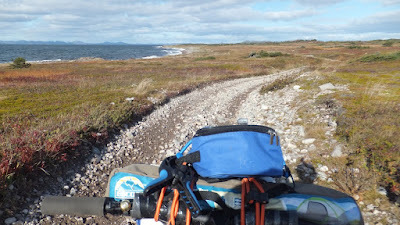 When heading out bikepacking I did use the lockout for a very short period of time. Having a pile of gear (4.4 kg/ 10.2 lbs) strapped to the bars I had anticipated that the Wren would be bobbing and weaving like the Bluto had done when I ran a lightly loaded bar bag. With a tiny tweak of the rebound, and no adjustment to the air chambers, the Wren was actually able to run unlocked while carrying extra gear AND hitting trail humps and bumps. Cool! During the winter season many people carry their fatties to the trailhead inside their vehicles to minimize road grit and grime. This generally means removing and installing the front wheel twice per ride. While a certain amount of finesse is needed to install the axle, the more practice the easier it gets. Having removed/installed the axle well over 100 times there is no obvious wear and tear to the axle or fork. A big concern for Bluto winter riders is the tendency of it to freeze. The aftermarket has come to the rescue, but why hasn’t RockShox fixed the issue in its design? The folks over at Wren Sports state that their fork will not freeze up in conditions that would impact the Bluto. To date the North Atlantic winter cold has had no impact on the Wren’s performance during winter testing . . . even during a two-hour frozen lake circumnavigation hitting several ice heaves along the way. 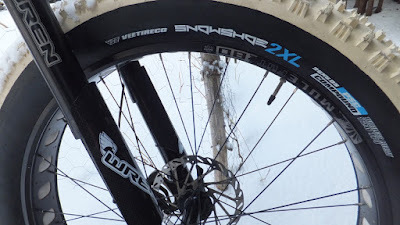 Wren Sports, in anticipation of some riders taking the Wren into uber-cold conditions are currently doing testing on polar grade temperature modifications. While scooting the winter trails one day I spied a narrow snow bridge spanning a two-foot wide trench across the trail. I though it was solid, but the front tire broke through (at speed), dropped into the deep trench and stopped. 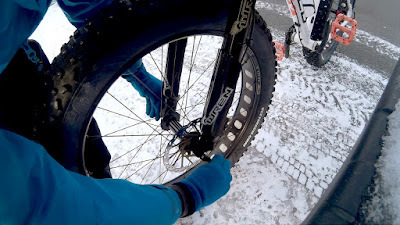 After dusting myself off and straightening my severely twisted bars I inspected the fork. There was no damage and it continues to track well. 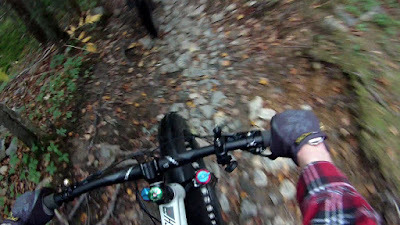 Riding the Bluto aggressively in winter, more specifically into a tight downhill turn, the fork dives and sticks making exiting the turn anything but graceful. As such, when anticipating such terrain I would lock out the fork. The Wren does not exhibit such quirky behavior, but instead rebounds as you would expect allowing smoother and faster exits. 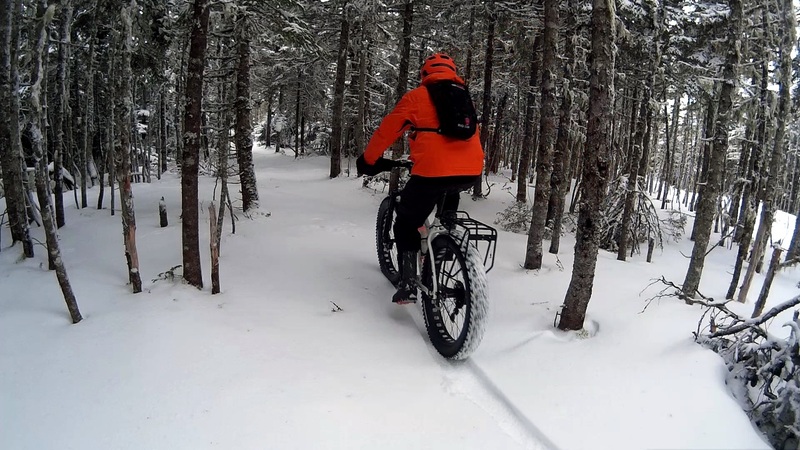 It’s pretty common knowledge that the Vee Snowshoe 2XL is one massive tire and is only able to fit the frame of a limited number of fatbikes. Running it on the front is possible with a rigid fork, but good luck running it on a suspension fork . . . until now. The Wren Inverted Fatbike Fork with its 5.35” clearance between the upper sliders easily clears the 2XLs girth. Super float and squish . . . excellent! 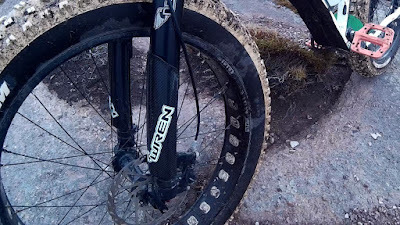 The Wren Inverted Fatbike Fork is a fine piece of technology and is solidly creeping into the fatbike front suspension market. Not only have individuals recognized the benefits of the Wren, so have niche fatbike dealers that offer the Wren Inverted Fatbike Fork as standard/optional equipment on bike builds. Customer service is second to none. You have an issue or question about the fork, or any of the products Wren Sports offer, they are only an email or phone call away. They are super responsive and super helpful. As the fork is assembled and designed in a modular format all parts can be exchanged for new parts when needed. If you are unable to get the fork to one of the ever expanding network of service centers, much of the maintenance and adjustments can be done by a competent bike mechanic. Wren Sports has created a benchmark that all other fatbike suspension fork builders should aim to aspire . . . if they can catch up. If you are unhappy with your current front suspension, building a fattie from scratch or looking to add squish to the front of your fatbike . . . be sure to check out the Wren Inverted Fatbike Fork by Wren Sports. Great review! I have an older (single air chamber) Wren fork that I am very pleased with. Originally, the main reason for a Wren fork purchase was the fact that it would fit my 135mm front wheel. After a summer of single track and beach riding I am very satisfied with the fork. Once dialed in for my weight and riding type the stiffness, compression and rebound was second to none. 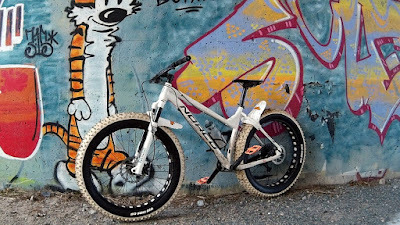 The fork is quite heavy compared to the carbon rigid it replaced but the bonus is the ability to ride technical trails without getting "beat up". For winter riding this year I will probably use my original carbon fork. Thanks. Wren just keeps improving on their design. It is a fine fork indeed. Nice review. Very helpful in deciding to upgrade.